Please note:We are open 28th June - 26th August (school holiday). Sleeping on the comfortable mattresses (not beds). Bed sheets and towels provided. 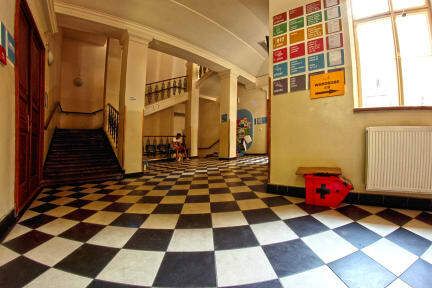 Our hostel is located in the nicely renovated old school, right next to the famous Charles Bridge, which means you are in the center of it all with all sights and facilities within walking distance. Place is more for adventurers who are not expecting luxury and want to have a fun. We like parties in the courtyard, we sell local beer and soft drinks. You can meet here travelers from all the world or chat with our staff. As for getting about town our friendly staff is always willing to point you in the right direction, or give you suggestions on what places to visit. We also provide private tours about town by car, and work in tandem with guided pub crawls to the hottest bars and clubs. 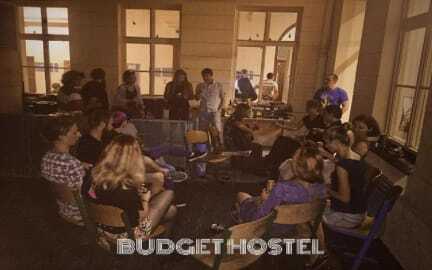 Hostel sensacional, uma vibe muito massa, perfeito pra conhecer gente nova e aproveitar a cidade de Praga, ótima localização, do lado dos pontos turísticos para ir de dia e das baladas e pubs para noite. Colchão no chão e banheiros longe dos quartos (no outro andar). Armários paa guardar as coisas também em outro andar. Sem wifi nos quartos. Só vale pela localização.